Dufaylite is the UK's leading manufacturer best quality recycled paper honeycomb products from 1955. Dufaylite products range from ground movement solutions (Clayboard) and exhibition stands (Ultraboard), to unique packaging products (Envirolite) and passive fire protection systems. Dufaylite provides innovative, sustainable, reliable and technically sound recycled paper honeycomb products to highly satisfied customers. Dufaylite understands the customer's needs and puts customers first by developing cost-effective, reliable products that solve customer's technical problems. Clayboard is the market leader in the void former industry since 1970s and is accredited by the British Board of Agrément since 1998. Clayboard makes unique sustainable honeycomb board solutions create a technically sound void, solving ground movement issues and prevent structural damage caused to foundations by clay heave. The honeycomb core is set between lightweight polypropylene facings and is installed on a polythene sheet in the foundation zone. Water is introduced after the concrete slab is set, which impacts the honeycomb, leaving a sound void that allows for natural ground movement to occur without exerting pressure on the ground slabs above. Clayboard also reduces soil excavation costs. These boards create very little compression and virtually no uplift. Less reinforcement steel is required across the whole foundation site, which can be a significant further saving. Clayboard prevents structural damage to domestic and commercial buildings caused by ground movement. They are made from 100% recycled material. 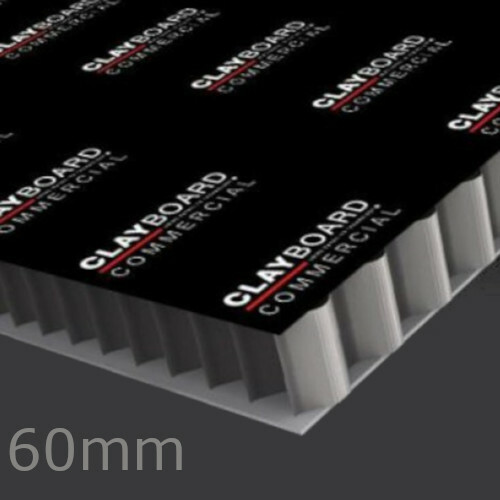 Clayboard is recognised by the NHBC as an appropriate void former for residential properties. Dry Clayboard is strong enough to support the weight of wet concrete and steel reinforcement. Once the concrete is set, water is introduced to the core. This would degrade the honeycomb centre, which would lead to the creation of a void. This space will accommodate clay expansion without exerting undue pressure on the structure above. In 2005 Dufaylite started manufacturing Ultraboard, the innovative honeycomb display panels. Ultraboard is made from recyclable materials. Ultraboard is a lightweight and cost effective, paper honeycomb core board, perfect for digital printing and screen printing. These versatile boards have incredible strength and great eco-friendly qualities. This board can be mounted hot or cold and is an alternative to rigid and foam PVC, MDF, Plywood, corrugated boards. They are made in UK from paper sourced from FSC-certified forests. 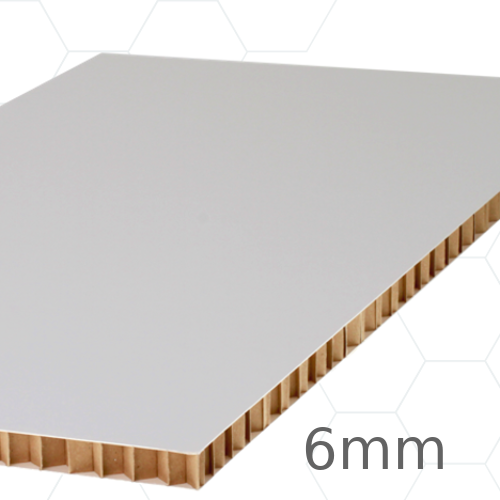 60mm Dufaylite Commercial Clayboard Void Former is a lightweight board available in four different thicknesses, and especially applicable to large scale, commercial projects. 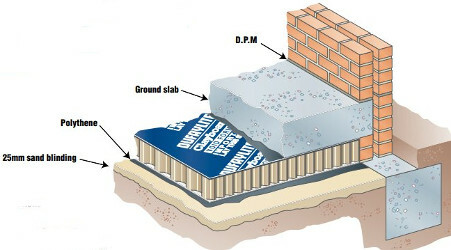 It is made from extremely environmentally friendly components, lowering the carbon footprint of the building, but also provid..
60mm Dufaylite Residential Clayboard Void Former is a specially designed board consisting of a lightweight, eco-friendly and biodegradable core covered with polypropylene facings. The product is designed to prevent the common problem of expansion and shrinkage of clay soil when it is ..
10mm Ultra Board 3D 2440mm x 1220mm. 10mm x 2440mm x 1220mm Ultra Board 3D is a lightweight and cost effective, paper honeycomb core board, perfect for digital printing and screen printing. 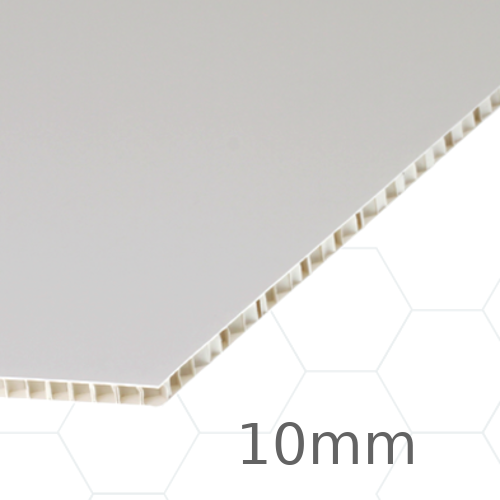 Ultra Board 3D is made with smaller honeycomb cells to increase the strength of the board. Made from recycled paper and materials, these amazi..
10mm Ultra Board 3D White 2440mm x 1220mm. 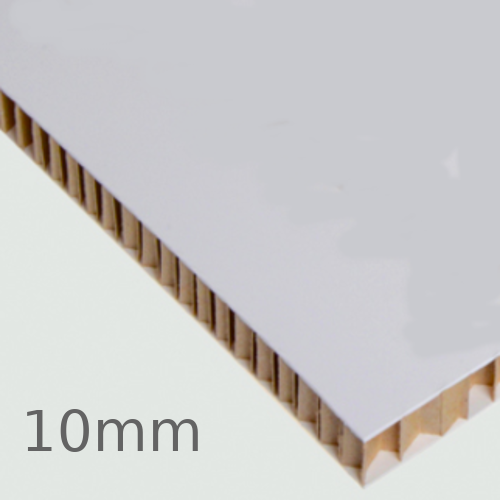 10mm x 2440mm x 1220mm Ultra Board 3D White is a lightweight and cost effective, paper honeycomb core board, perfect for digital printing and screen printing. 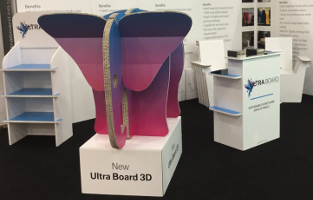 Ultra Board 3D is made with smaller honeycomb cells to increase the strength of the board. 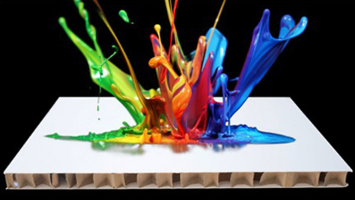 3D White is made from an FSC certified m..
10mm x 2440mm x 1220mm Ultra Board Evolution is a lightweight and cost effective, white colour paper honeycomb core board, perfect for digital printing and screen printing. Made from recycled paper and materials, these amazing light weight boards have incredible strength, great eco-friendly qua..
6mm Ultra Board Edging is a self-adhesive paper edging roll used to give the Ultra Board panels the perfect professional finish and quality appearance. 50m roll. 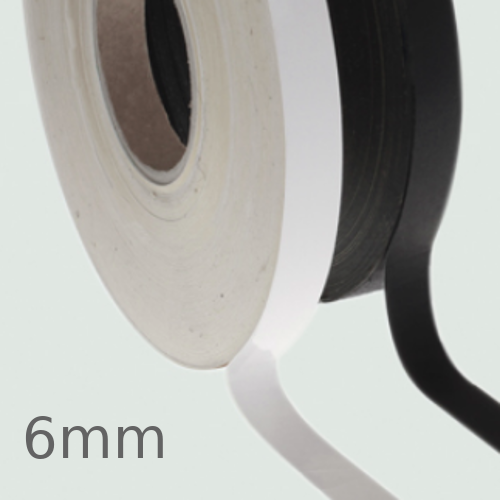 Available in black and white.Fully recyclable, Requires no tools beyond a pair of scissors.CERTIFICATION..
6mm Ultra Board Graphic 2440mm x 1220mm. 6mm x 2440mm x 1220mm Ultra Board Graphic is a lightweight and cost effective, paper honeycomb core board, perfect for digital printing and screen printing. Ultra Board Graphic is ideal if you are looking for an Eco Friendly, lightweight alternative to rigid and foam PVC. Made from recycled pap..
6mm Universal Ultra Board 2440mm x 1220mm. 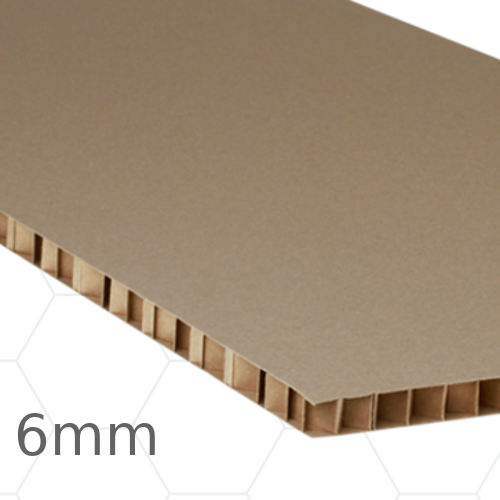 6mm x 2440mm x 1220mm Universal Ultra Board is a lightweight and cost effective, paper honeycomb core board, perfect for digital printing and screen printing. Made from recycled paper and materials, these amazing light weight boards have incredible strength, great eco-friendly qualities and are high..